This past spring, L-Tron introduced its 4910LR Area Imaging Scanner. Prior to the 4910LR, L-Tron’s 4810 Barcode Scanner was a top-seller. Here is a bit of interesting history about the 4810 model. The L-Tron 4810 Barcode Scanner spans over five years from its introduction in November 2007 to its retirement with the introduction of the 4910 in April 2013. 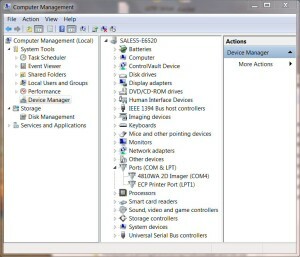 At its introduction, the USB COM port emulation driver supported Microsoft’s Windows XP operating system (OS). 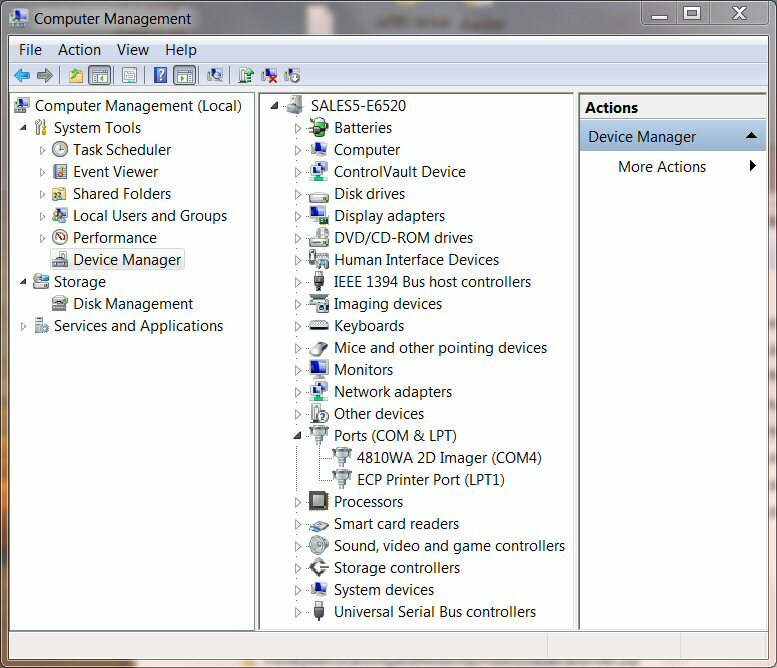 As seen in the screen shot of Device Manager, the PID name that the original 4810 reported to the OS is 4810WA. In 2009, Microsoft released the Windows 7 OS. Because of this, we updated the COM port driver to support the new 64-bit version of the OS. The driver is Windows Hardware Quality Labs (WHQL) certified. This means that Microsoft ensures compatibility of the driver with the OS and other WHQL certified hardware and software. When we released the Windows 7 64-bit compatible version of the driver, we changed the PID name of the 4810 barcode scanner to 4800dr. The new driver recognizes the PID name 4800dr and no longer recognizes the PID name of 4810WA. To make the large installed base of 4810 barcode scanners compatible with the new driver, L-Tron published a document with programming barcodes that changes the PID name of the 4810 to 4800dr. This document is still available on our downloads page. If you purchased your 4810 Barcode Scanner prior to the release of Windows 7 and you want to use the latest COM port driver, reprogram the PID name. The new driver gives the added functionality of letting you force the COM port number no matter which USB port you plug the scanner into. 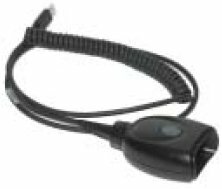 Looking for a TraCS compatible scanner that reads 2D barcodes on driver’s licenses and registrations, as well as capturing images and signatures? The updated 4910LR is ideal for e-citation applications, accident reporting & electronic ticketing applications. Call us today!